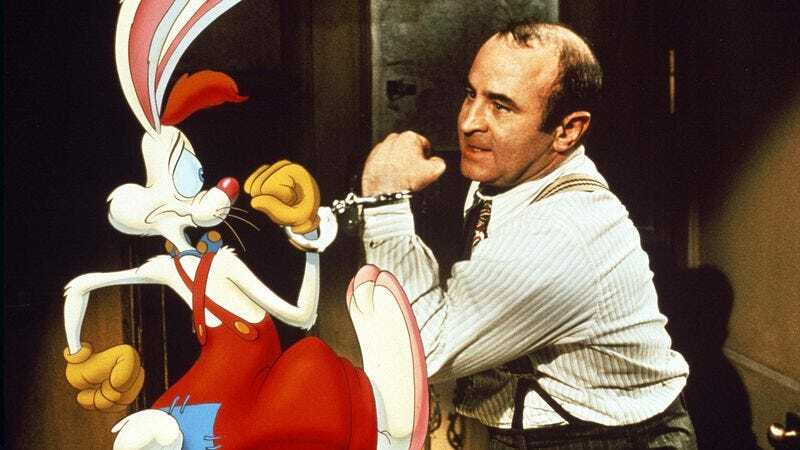 Much as 1993’s Jurassic Park remains the gold standard for blending CGI and animatronic effects to create a realistic-looking action thriller, 1988’s Who Framed Roger Rabbit remains a gold standard for blending live action and animation. And while the movie’s been praised up and down for the past 30 years, this new video from the YouTube channel KaptainKristian really digs into what makes it so special. The channel specializes in “visual love letters” to pop culture, and this particular love letter is a celebration of Who Framed Roger Rabbit’s minute visual detail. KaptainKristian argues there are three elements that elevate Who Framed Roger Rabbit into a visual masterpiece: attention to eye lines, actual physical interaction between the live-action elements and the animated characters, and a detailed depiction of light and shadow. But all three elements boil down to the animators and filmmakers dedicating long hours and extra work to the details that make their cartoon/live-action hybrid feel realistic. Disney even coined the term “bumping the lamp” for the extra mile animators went when it came to the movie. The name comes from a scene featuring a swinging lamp, which gives the visuals an extra dimension but also meant that ever-changing shadows had to be added to each cell of Roger Rabbit. And that’s even more impressive when you consider the film was made before the advent of digital compositing. Without software to track shots, animators had to draw each cell by eye and by hand. The seven-minute video also features some great behind-the-scenes shots of the tricks filmmakers used to allow animated characters to interact with real-life props. And it juxtaposes Who Framed Roger Rabbit with some lesser animated/live-action hybrid scenes to demonstrate just how extraordinary Robert Zemeckis’ film really is. Though many of the details are almost imperceptible to casual viewers, taken together they subtly elevate Who Framed Roger Rabbit into a timeless visual masterpiece.